On the southeast coast of China is beautiful Xiamen a popular destination for all tourists to explore on sightseeing tours. It is famous for its attractive seascape and major seaports and hence why it was given its name which means " gate of China'. 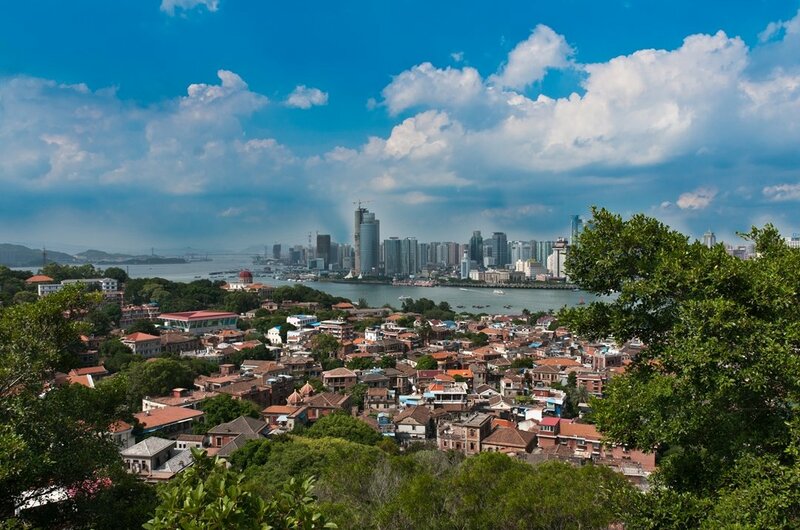 Xiamen is a made up of Xiamen Island, Gulangyu Island, the north bank area of Jiulong River and Tongán County and connected by the Xiamen Bridge, Goji Seawall and other bridges. This city is also called the Egret Island because of the many egrets that inhabit there. Xiamen sees a subtropical monsoon climate with moderate weather all year round making it an ideal destination. Take a tour around this beautiful city and explore the many attractions Xiamen has to offer such as the Wanshi Botanical Gardens or the Nanpuuo Temple or go sightseeing to the Wuyi mountains and the Island Ring Road. Have a hint of Chinese history on guided tour to the Hulishan Fortress. This spectacular site surrounded by walls made of granite and striking gates is a must see. The Hulishan Fortress was built in 1891 and is located at the southern tip of Xiamen Island. The fortress covers an area of 13,000 square meters; visitors can explore the distinctly preserved buildings of the Ming and Qing Dynasties. 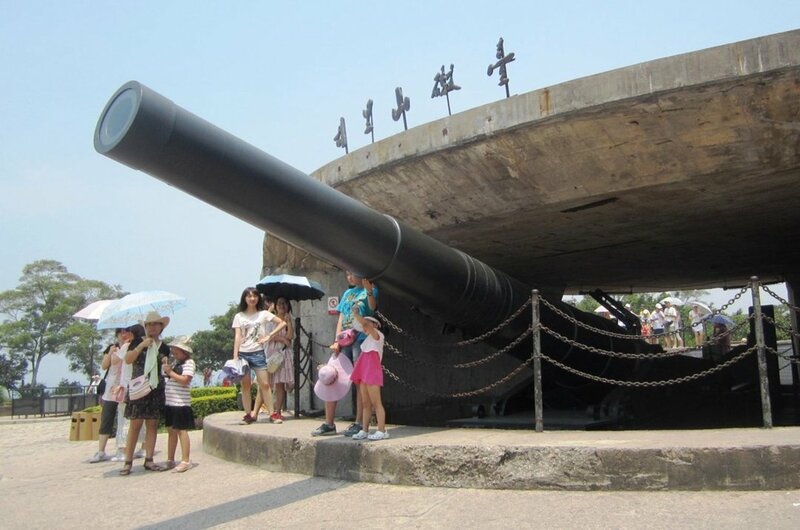 It is not all fortresses and temples in Xiamen for there are many excellent activities to enjoy. Spend an eventful day at one of impressive golf courses, treat yourself to the hots springs for great relaxation, be inspired by sand sculpture parks and have fun and adventure in water and amusement parks. 1 Gulangyu Island is also known as “Drum Wave Islet”. 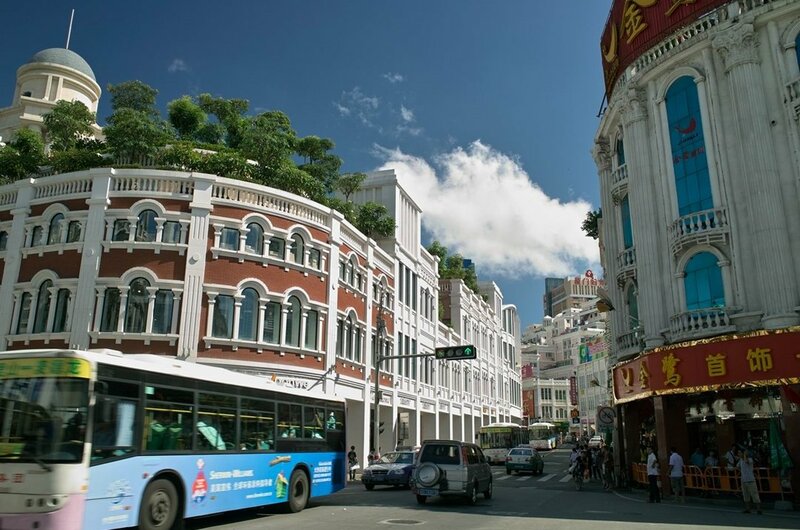 Located off the coast of Xiamen city, it is a car free city and a popular place for a sightseeing tour. This little island covers 1.78 square meters and is home to about 20,000 people. Renowned for its beaches and winding roads, visitors can also explore the town with its varied architecture. This special island is on the list of China's most National Scenic Spots. 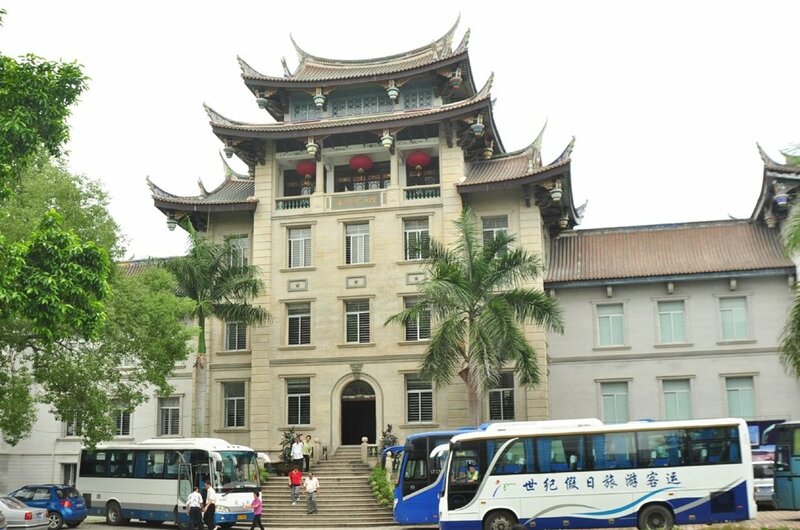 2 Take a guided tour of the Overseas Chinese Museum located at the foot of Fengchao Hill. This comprehensive museum is the only museum is that was set up which offers highlights of the history of overseas Chinese. Covering more than 3,000 sq m, the museum has over 7,000 exhibits. See the special exhibitions such as the Ancient Technological Achievements of Chinese, unearthed Mummies in Xinjiang and Inner Mongolian Folk Relics. 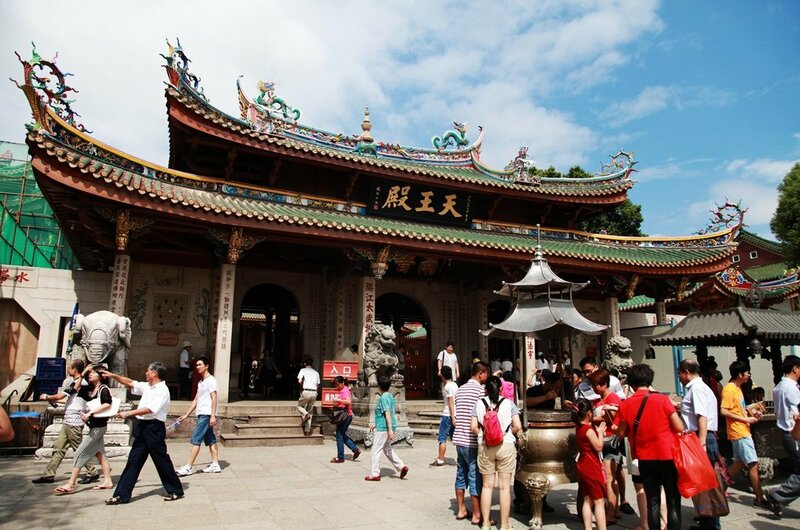 3 Take a guided tour of the Nanputuo Temple in the southeast of the of Xiamen Island where you will be surrounded by the beauty of the sea and the Wuloa peaks. Explore the holy building and halls such as the Devajara Hall (the Hall of Heavenly Kings), the Mahavira Hall (Daxiongbaodian), the Dabei Hall (the Hall of Great Compassion) or a Pavilion to learn about the practice of Buddhism. See Monks of the Temple practicing prayers and chants. 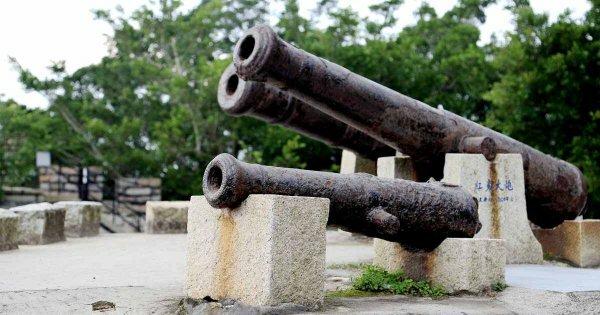 4 The Hulishan Fortress was built in 1891 surrounded by walls made of granite and striking gate and is found at the southern tip of Xiamen Island. Its buildings are distinctively maintained to the military style of the Ming Dynasty and the Qing Dynasty. On a guided tour delve into the barracks, a tower, a secret tunnel, castle and much more. See a German-made Krupp Cannon, the largest existing coast cannon of its kind in the world. 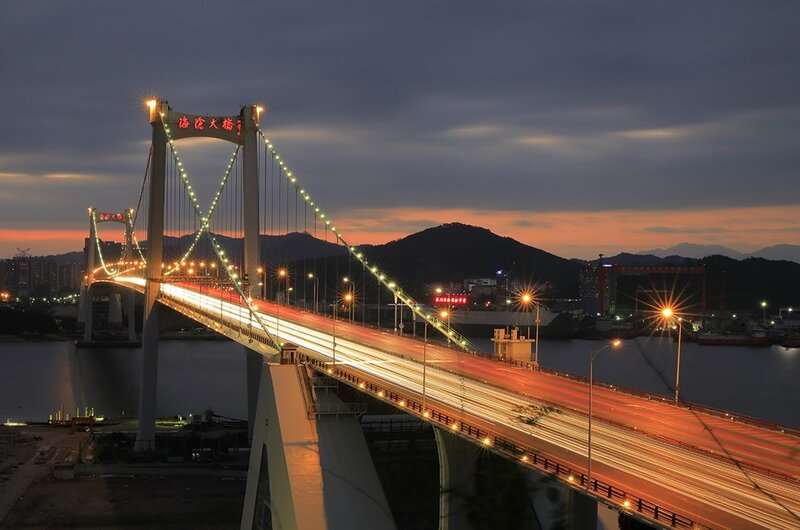 5 On a sightseeing tour of Xiamen West Port, see the Haicang Bridge. This is Asia's first largest floating steel-box suspension bridge and the worlds third largest. It is well known as a flying rain-bow in Dongdu, a city bridge linking Xiamen Island with Haicang and an inner bay high-way. It is spectacular looking at night. Take a tour of the Bridge museum, the first of its kind in China and be introduced to all things bridge related. 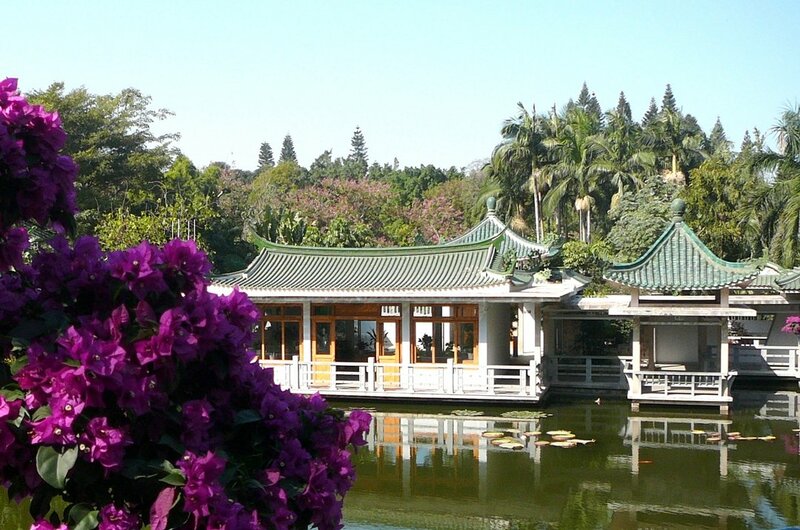 6 Also known as the Xiamen Botanical Garden, the Wanshi Botanical Garden is a meticulously designed botanical garden around the Modanyan Reservoir. Enjoy a pleasant sightseeing tour where you can immerse yourself in the beauty of more than 20 botanical zones, display rooms and cultivated grounds. The best scenic spots are the Morning Bell of Heaven, the cloud locking stones and the Jade Scepter Rock and the Peace Stone. 7 Take a walking tour along Zhongshan Pedestrian Street, and you will not be disappointed. Zhongshan Pedestrian Street is a busy and bright road, teeming with vendors and over 200 shops. Travelers tend to shop until they drop here and then relax with food in one of the many restaurants. It is also packed with entertainment. During the week is a better time to explore here as it gets quite busy on weekends. 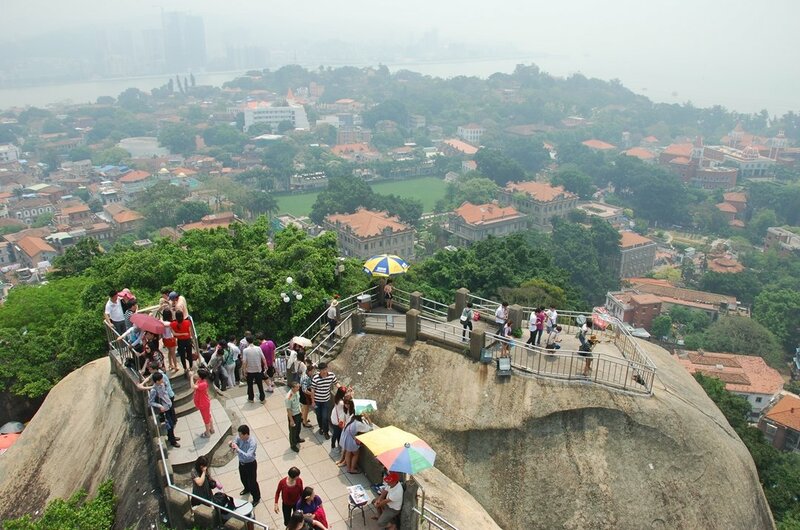 8 Visit Sunlight Rock on a sightseeing tour, it is the most famous picturesque spot in Xiamen. It is also known as Dragon Head Hill by the Chinese and Camel Rock by Foreigners. Facing the Tiger Head Hill which is across on Xiamen Island bay, as you approach Xiamen's harbour, they look like guards. Sunlight Rock is made up of two very large horizontal and vertical rocks which form Gulangyu Island's highest point. 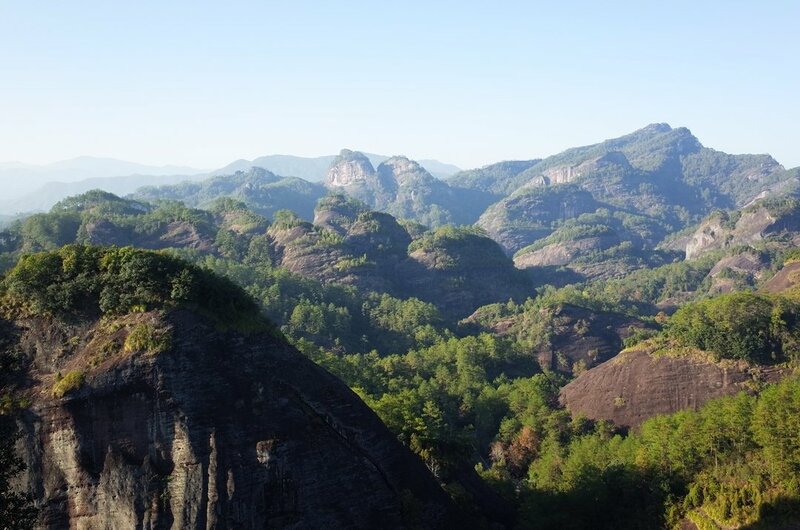 9 The Wuyi Mountains has been listed in the UNESCO World Heritage since 1999 and is regarded to be among the most magnificent places in southeastern China. Tourists can also explore on adventure tours the Wuyishan Nature Reserve that is famous for its abundance of dense forests, waterfalls, deep canyons, animals (many of them endangered), flora and fauna. It's a great destination for any nature lover. 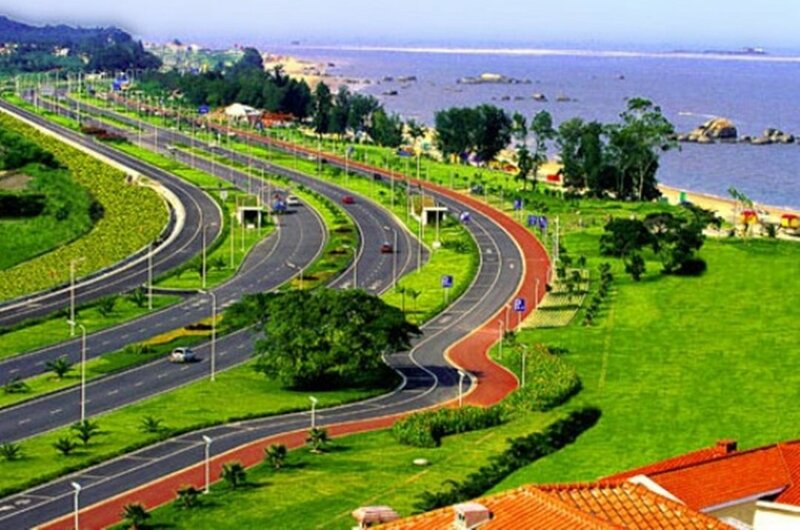 10 Xiamen Island Ring Road is 43 Km in length and is a 4-6 lane seaside road. It is a popular place to go on bike riding tours and take in the scenery of the beautiful seashores. Go on a sightseeing tour from Baicheng Beach all the way to the Xiamen Conference and Exhibition Centre, a tour that is about 10 Km. On the way, there are many interesting sights such as the Hulishan Fortress and the parks along the ring road. Xiamen is a great place that holds many local festivals, so a recommended time is when one of these are on. Most festivals are held in the summer such as the Phoenix Flower festival that takes place in June or the Gulangyu Piano Festival held in August. Spring and Autumn are the best seasons for mild weather ideal for sightseeing tours, fewer crowds and lower prices for tours and accommodation. Passport holders from some selected countries can enjoy up to 72 hours free transit when they take an international transfer at the airport. Check with your travel agent. Try to avoid tap water and use bottled water instead because the tap water can upset stomachs. Check the cap is sealed on the bottled water before buying. Be aware of your surroundings no matter where you go , be extra careful in crowds. Xiamen sees mild and pleasant weather all year round and has a subtropical monsoon climate. It is a good place to visit all year round apart from typhoons that influence the weather a few times in an in the months of July to September. The temperatures average around 21 degrees Celsius from May to August and winters are mild with temperatures averaging around 14 degrees Celsius. August is the hottest month and the wettest!